People in Hawaii love to take things at a nice slow pace no matter what they do. This definitely includes driving. Don’t be surprised if you are driving on a road with a forty-five mile-per-hour speed limit and you end up behind someone who is only driving thirty or thirty-five miles-per-hour. This is just the way that it is in Hawaii. People routinely drive under the speed limit here. Once you have a few days driving here, you will get used to it. One thing you shouldn’t do is honk at someone for driving too slowly. This is considered exceptionally rude whereas in a place like New York it’s the norm. This is something that’s very helpful to be aware of before you start driving in Hawaii. There are several areas where you will experience a road that is only one car width wide but two-way traffic is permitted. So, you might expect “the zipper” to occur, where one car from one side goes then one from the other and so on and so forth. However, this is not the case in Hawaii. Some drivers will let five or six cars go from the other side before they decide to proceed on. This can be a little frustrating if you are stuck behind them. It’s just another one of those things that you will need to get used to when driving in Hawaii. Keep this in mind, too, because letting several cars go from the other side is considered normal. So, if you are first in line and one car from the other side goes, you can expect a couple other cars to follow close behind. Don’t try and “gun it” to squeeze in because you might end up causing an accident. This isn’t necessarily exclusive to Hawaii. You will occasionally see less experienced drivers slow down or come to a stop on an entrance ramp anywhere in the country. Obviously, in a perfect world, everyone on the road would understand that on-ramps are meant for drivers to accelerate and match the speed of the drivers on the highway that they are attempting to merge onto. However, this isn’t the case. Sometimes, it’s not even possible because there are people on highways who use the right lane for traveling long distances rather than just for exiting the highway as the right lane is intended for. However, you will see this much more frequently in Hawaii. It’s good to be aware of because you don’t want to be accelerating behind someone who is coming to a stop or actively slowing down on an entrance ramp. Always keep your focus on the driver in front of you until they have merged successfully onto the highway. Then, you can focus on merging yourself. If you are used to driving in a place like New York or Los Angeles and you end up driving in Hawaii, try and take a deep breath and take it easy. It can be exceptionally frustrating at times but that’s just how it goes here, everybody moves at a slower pace. 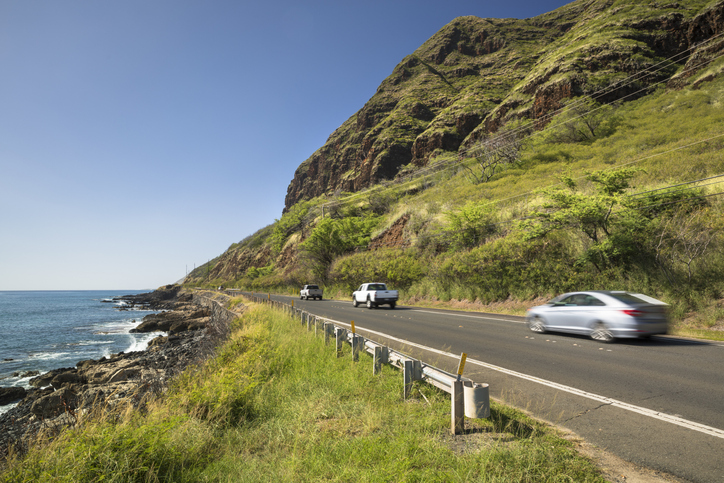 Driving in Hawaii is a completely different experience than anywhere else in the continental US. In fact, it’s quite nice once you actually get used to it.